Writer-director Robyn August created this two-minute gem for the #MyAnnaBelleCreation Contest. He knows what scares you if you’re a pet owner and cast his own beloved puppy Sriracha in the title role. This outrageously cute and expressive canine is unsettled by something shifting in the bathroom. His owner (Jennifer Willens) reassures him with the old favourite, “It’s just the wind…” It becomes ever more apparent that this isn’t the wind. In the tiny running time he has at his disposal, August makes canny use of misdirection and generates real intensity around the off-camera threat. 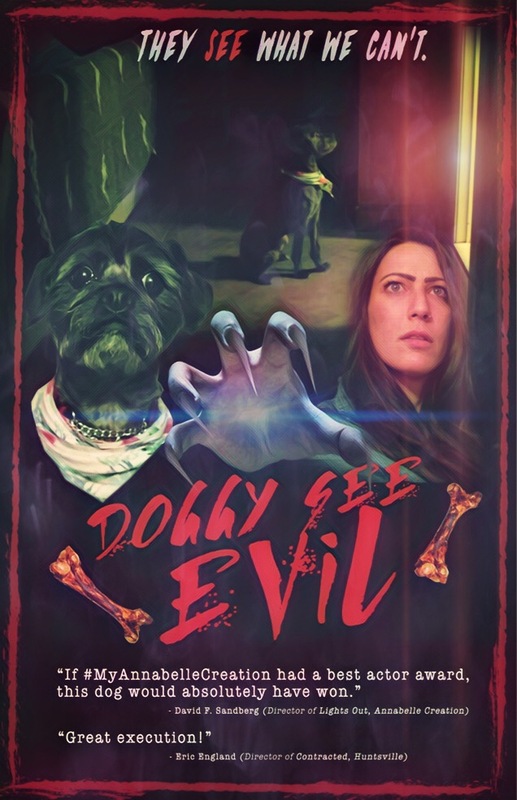 The short incorporates one superbly timed jump scare and, most of all, showcases the most convincing and sympathetic canine protagonist in horror history. If Sriracha doesn’t get the lead in ANNABELLE 3 based on this evidence, there’s no justice.